This article was originally published on Scientific Literacy Matters. 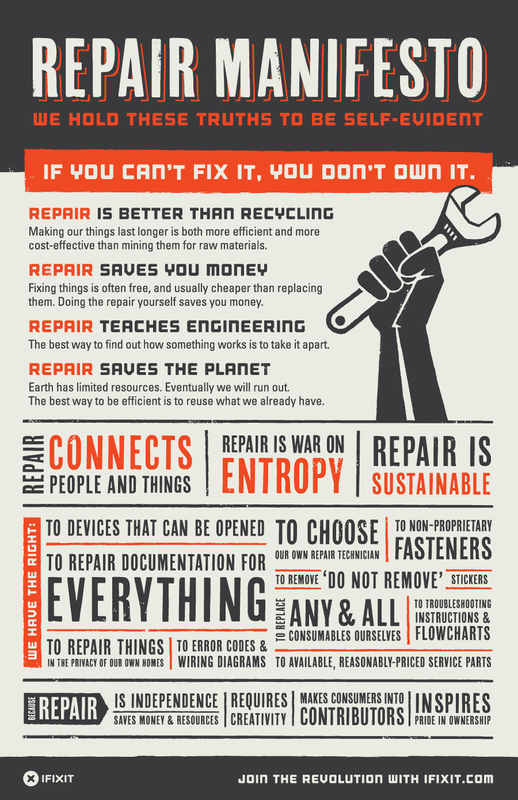 The right to repair is and has been threatened for a long time. Unfortunately the bad guys are winning this fight. Suddenly we find ourselves in a time where repairing your broken car, phone or computer seems outright unrealistic. Devices are deliberately being engineered to be hard to repair, so only the manufacturers themselves can do it. In theory this just means we also have to get smarter. But some companies are trying to turn it into a legal issue. The results of this are terrible in many ways. We are mostly concerned because it prevents people from learning how the devices they use work. But for less wealthy people it might be the difference between being able to drive to work or not. Safe to say nothing good can come from banning owners of devices from opening them up, studying them and repairing them. And let’s be clear this isn’t the same as reverse engineering, which is happening anyway. It’s simply about owners of devices and machines being allowed to understand these devices and do minor repairs to them. On the forefront of that evil fight stands names like Apple and John Deere. You can read more about Apple and John Deere in this Time article. The battle over Right to Repair is about more than malfunctioning tractors or cracked iPhone screens. It’s about a spirit of self-sufficiency that’s baked into the DNA of blue collar America. Mills says he takes pride in farmers’ image as can-do fixers who can keep their own machinery humming, so it’s frustrating when that isn’t possible. “[We] should be able to obtain the necessary tools and access to information necessary to repair our equipment,” he says. Mills stresses that modern farmers are increasingly familiar with high-tech innovations, including everything from GPS to self-driving tractors, and that with the right tools, they would be able to fix even the most complicated machinery. How demeaning is that? Statements like this should outrage you. Devices are becoming more advanced for sure, but they are still designed by humans and can be fixed by humans. Should a person want to invest time in learning how a device functions and how to repair it that should be a legal right! You shouldn’t just be told that ‘no you are too stupid for that’. 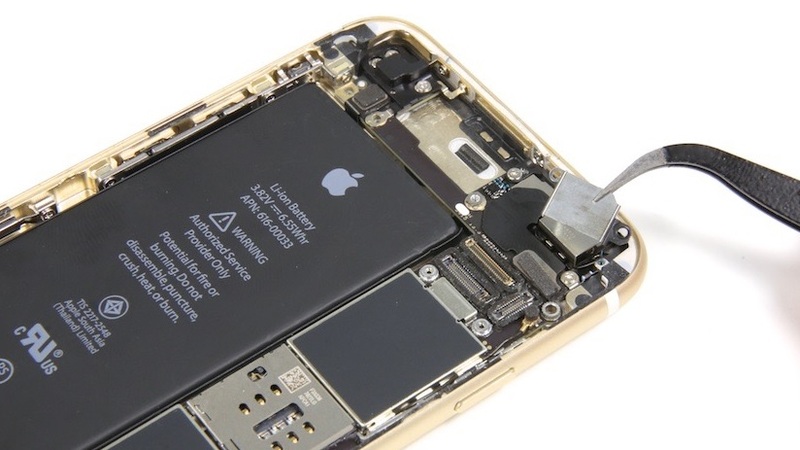 Unfortunately Right to repair movements are having trouble getting laws passed, in part because of lobbying from companies like Apple. Hopefully they will be successful one day. It’s possible we will launch our own campaign since this issue is at the very heart of our movement. What you can do as a citizen is call these companies and urge them to stop their unethical practices, or urge your lawmakers when a relevant bill comes along. If I can’t fix it, I can’t buy it. I am an electrical engineer, electronics technician, mechanic and have an IQ if at least 126. Who says I can’t fix things? Some profit hungry corp.
iF YOU WANT MY MONEY, DON’T TELL ME WHAT I CAN AND WHAT I CAN WITH MY PROPERTY AFTER I TAKE OWNERSHIP.